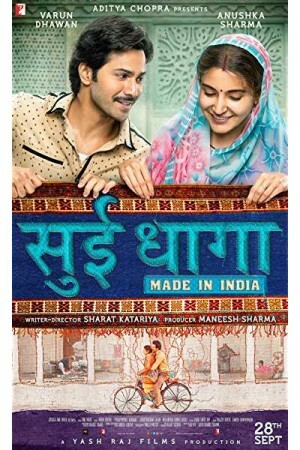 Sui Dhaaga, an upcoming Indian comedy-drama, is a story of self-reliance and pride of an artisan who is passionate about traditional art forms handicrafts. With a focus on “Made in India”, the movie tries to take forward the need of social entrepreneurship for better social & economic development of the local artisans. The movie entails the journey of Mauji, a tailor with his wife Mamta (an embroider) emphasizing the virtues of honesty, community living, and self-respect. Mauji honestly pursues his passion and tackles all odds to move out from a humble background to the cover of an international magazine.